2: Click on "add a gadget"
3: Now select (Popular Posts Gadget). 4: Then Click (Save Button). 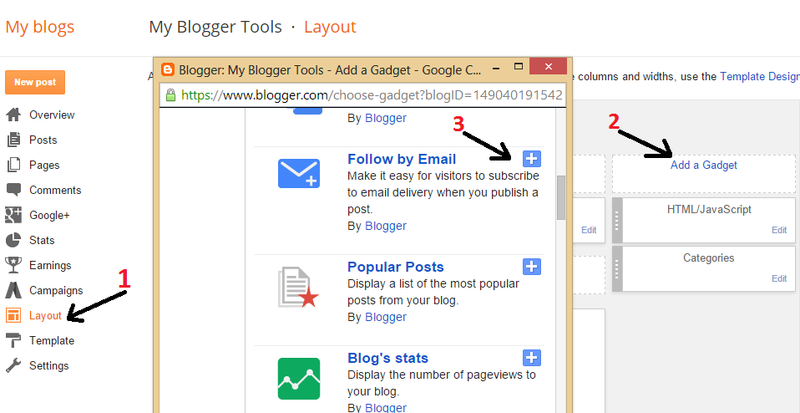 1: Now go to (Blogger Template) and Click "Edit HTML" Button. How To Make Money Online ...:::: Earn Methods ::::... if you want to change color or fount size just change these settings.